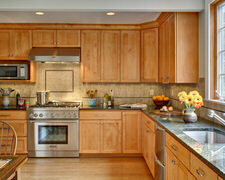 Preferred Cabinets can design, build, and renovate that must-do kitchen cabinet renovation project on your wish list. Whether you’re looking for a remodeled kitchen, renovated bathroom, basement remodeling, second floor addition, or other custom indoor or outdoor renovations, we’re here to help. We work with families and budgets of all sizes to make your remodeling dreams a reality.